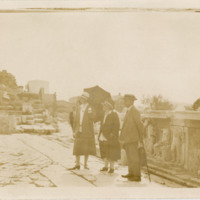 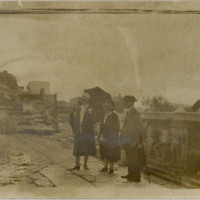 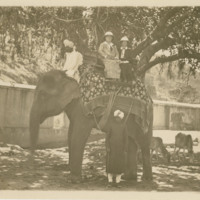 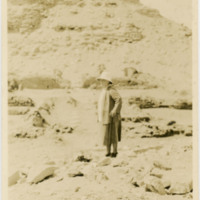 Photo of M. Carey Thomas (pictured on the right-hand side of the photo) standing in the middle of the desert from her trip to Egypt in 1929. 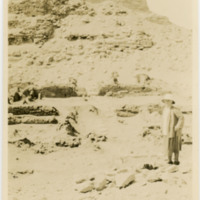 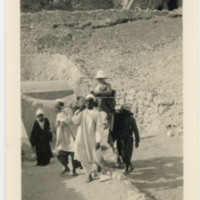 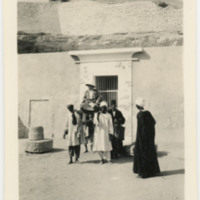 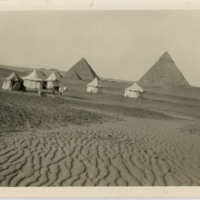 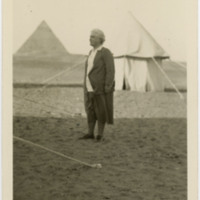 Photo of M. Carey Thomas, somewhat from a distance, standing in the middle of the desert from her trip to Egypt in 1929. 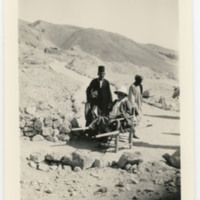 Photo of M. Carey Thomas resting, on a chair, with two unidentified men looking on, during her trip to Egypt in 1929.